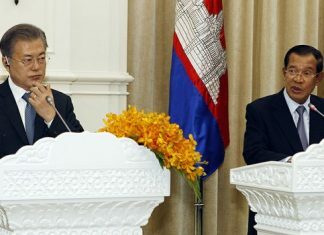 The Ministry of Education on Tuesday again publicly accused the Ministry of Finance of not injecting enough funds into the education sector in order to bring Cambodia in line with the rest of Southeast Asia. Legal experts on Wednesday dismissed a warning made by the CPP on Tuesday that legal action could be taken against the opposition CNRP if it did not stop saying the ruling party controls the National Election Committee. Election observers on Wednesday released a joint statement regarding the fallout from the disputed national election, calling for a recount of votes in Kandal province’s Takhmao City, where a large number of irregularities were reported. The CPP on Tuesday threatened legal action against the CNRP if it did not cease its “defamatory rhetoric” regarding the ruling party’s relationship with the National Election Committee, which the opposition accuses of rigging July’s election in order to keep the CPP in power. Provincial authorities and humanitarian NGOs are preparing for severe flooding in Kompong Thom province as floodwaters flow south from inundated Preah Vihear province along the Stung Sen River. Hundreds of demonstrators including NGO workers and Buddhist monks staged a march in Phnom Penh on Wednesday, calling for a nonviolent conclusion to the national election, in which both the ruling CPP and opposition CNRP have claimed victory. Flooding in Banteay Meanchey province has claimed seven lives and left 200 families displaced in the past week as rain and rising rivers saturate the northwest of the country, according to the National Committee for Disaster Management. Work on a new wall reinforced with steel posts has begun outside the National Assembly building, though the body’s spokesman said Tuesday it was not designed to ensure security should the opposition CNRP call for mass protests. The Japanese International Co­operation Agency on Tuesday announced it hoped to have a public bus system in place in Phnom Penh sometime in 2014, despite earlier assurances it would be up and running this year. The opposition CNRP will today present the National Election Committee with its findings from a nationwide effort to gather election-day complaints—of which the party has received at least 18,400—but believes this represents only a fraction of polling day irregularities. The CNRP’s post-election complaint-gathering project expanded beyond Phnom Penh on Thursday as the party continued its own investigation into irregularities surrounding Sunday’s vote. Standing before a crowd of about 1,000 supporters at the party’s headquarters in Phnom Penh on Wednesday, opposition leader Sam Rainsy continued to claim victory in Sunday’s national election and accepted hundreds of complaints from disgruntled voters who said they were unable to find their names on the voter list. After Information Minister Khieu Kanharith announced an election victory for the ruling CPP Sunday night, the opposition remained silent, saying only that they would wait for the official results from the National Election Committee. Taunting between CPP and Cambodia National Rescue Party campaigners turned violent Wednesday as supporters from both parties fought with each other in Russei Keo district, resulting in a police officer receiving an injury to the head from a flying rock. Global Internet giant Google on Tuesday took another step into Cambodia with the launch of its Google Maps Street View image-collecting project in Phnom Penh. CPP supporters are preventing opposition supporters from driving past their rally base at Phnom Penh’s Wat Botum park, harassing Cambodia National Rescue Party followers’ vehicles and refusing to let them through—a clear violation of the election law. 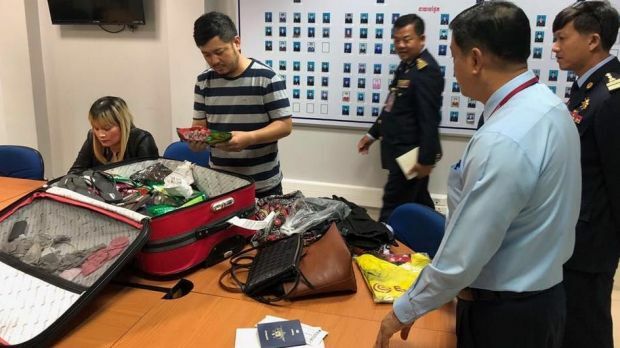 The Cambodia National Rescue Party plans to give its leader, Sam Rainsy, a hero’s welcome when he returns to the country on Friday after nearly four years in self-imposed exile. Amid rising death tolls on Cambodia’s roads and proposed legislation requiring all motorcycle passengers to wear helmets, tuk-tuk and motorcycle-taxi drivers on Monday were treated to a free helmet at a workshop in Phnom Penh. If the Cambodia Nationality Party wins the forthcoming national election, as its acting president and staunch supporters optimistically predict it will, its president, the Venerable Ta Hang, will defrock and become the first monk to move directly from the pagoda to the Peace Palace. Mongrel punts, rushed behinds, hangers, clangers and screamers. Not the kind of language you would expect to fill the air at local sports grounds—but it soon might, as the distinct terminology follows the rise of Australian Rules football in Cambodia. 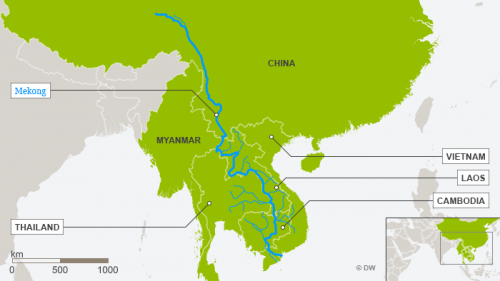 Are China’s Investment Taking over the Mekong?